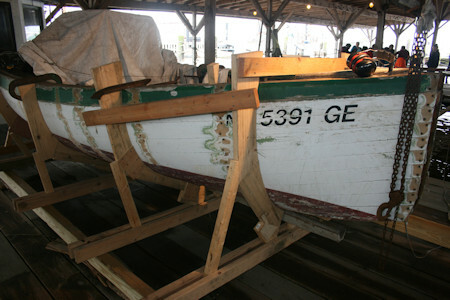 Bayshore Center at Bivalve is a nonprofit corporation near Port Norris, NJ dedicated to preserving the history and wellbeing of New Jersey's Delaware Bayshore region. 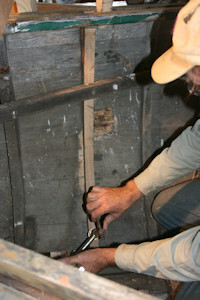 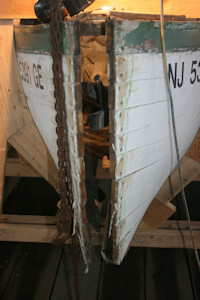 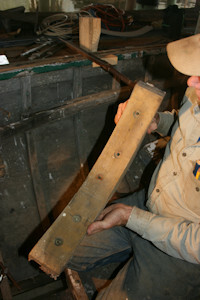 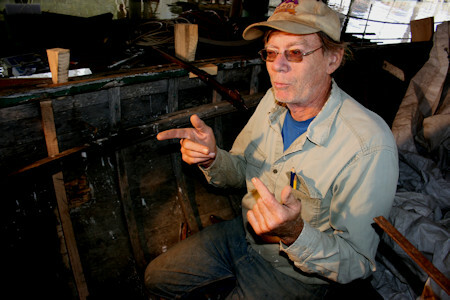 One of their important projects involves maintaining the oyster schooner A.J. 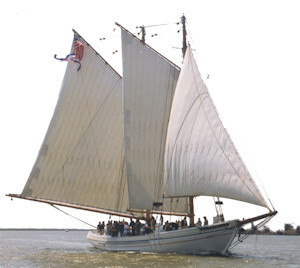 Meerwald as a floating classroom. 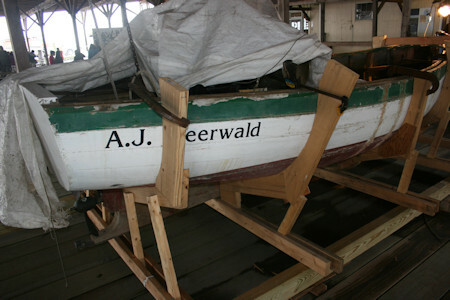 The auxiliary tender boat to the Meerwald, the "yawl boat" had fallen into disrepair and was in need of restoration. 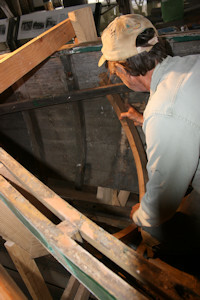 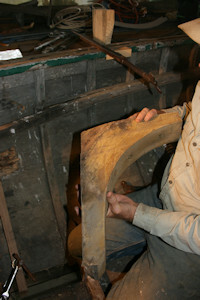 The following photographs show William Robbins' work on behalf of that restoration.